Then again, conservative management decisions may prevail. Anyone remember the Nissan IDX concepts, a pair of retro sports coupes many of hoped would reach production? Well, that was in 2013. Production, obviously, hasn’t happened and Nissan is still building the 370Z. According to AutoGuide, however, the Japanese automaker has recently filed a trademark application for the name IMX, which, save for a single letter, is darn close to that original concept name. Could something finally be happening after four years? The IDX was very well received by pretty much everyone, and we later learned Nissan nixed its production chances because it didn’t have a suitable platform. Developing a new platform for a niche sports car didn’t make financial sense, but Nissan surely enjoyed all of the good press the concepts received regardless. Jump forward to today and the 370Z rear-wheel-drive sports car has aged out and yet it’s still on sale. A new Z car is certainly possible, but the IMX name opens several possibilities of its own. 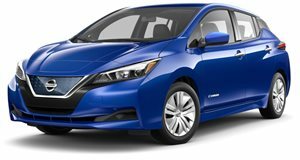 Aside from a small sports car, other possibilities could include another all-electric car, something with second-generation Leaf underpinnings but a totally unique personality of its own, or maybe even an SUV. Remember, Nissan also just announced that it’ll soon launch a Tesla-fighting all-electric SUV. Unfortunately, we’d put our money on the IMX name being used for the SUV, not a sports car. SUVs are far more profitable. But we still hold out some hope for an affordable electric sports car. Nissan would be just the automaker to give that a try.